Sun., June 17, 2018, 12:38 p.m. 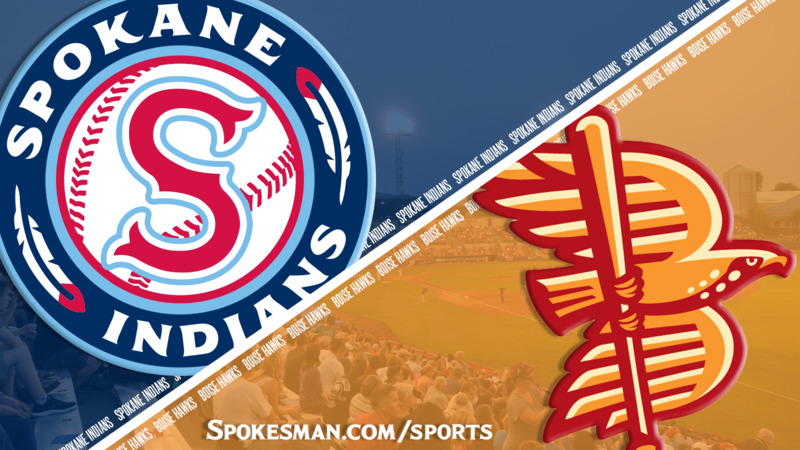 The Spokane Indians (1-1) take on the Boise Hawks (1-1) in the third of a five-game Northwest League series at 3:30 p.m. at Avista Stadium on Father’s Day Sunday. The Indians send returning right-handed starter Tai Tiedemann against RHP Jeffri Ocando. Tiedemann, 22, was a sixth-round pick of the Texas Rangers in 2016 and went 4-4 with a 3.83 ERA, 1.626 WHIP and 7.5 K/9 in 2017 for the Indians. Last night: The Indians collected their first win of the season as Curtis Terry came through with a big hit in the eighth inning and Jake Latz threw four shutout innings in his longest stint since high school in 2014. Around the minors: Former Indians catcher Jose Trevino had a big day in his MLB debut. Published: June 17, 2018, 12:38 p.m.